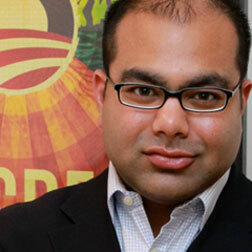 Toby Chaudhuri is Vice President of Strategic Communications and National Partnerships for PBS. He was previously co-founder of SocialxDesign, a strategy consulting firm with offices in Silicon Valley, San Francisco and Washington D.C. He has worked with President Obama’s Administration, where he advised the White House’s race-based Initiatives and democracy and governance projects around the world for the U.S. State Department. Chaudhuri has managed more than $100 million in state and federal campaigns in the U.S. and abroad and has worked at the helm of national media operations. He previously worked as civil rights leader Marian Wright Edelman’s spokesman and media strategist at the Children’s Defense Fund; as a political appointee to President Bill Clinton; and served as deputy press secretary to Vice President Al Gore’s 2000 presidential campaign. He has received several accolades for his work, including the American Association of Political Scientists’ Pollie Award, Campaigns & Elections Magazine’s Rising Star Award and the highly-coveted Reed Award and India Abroad’s Community Service Award.